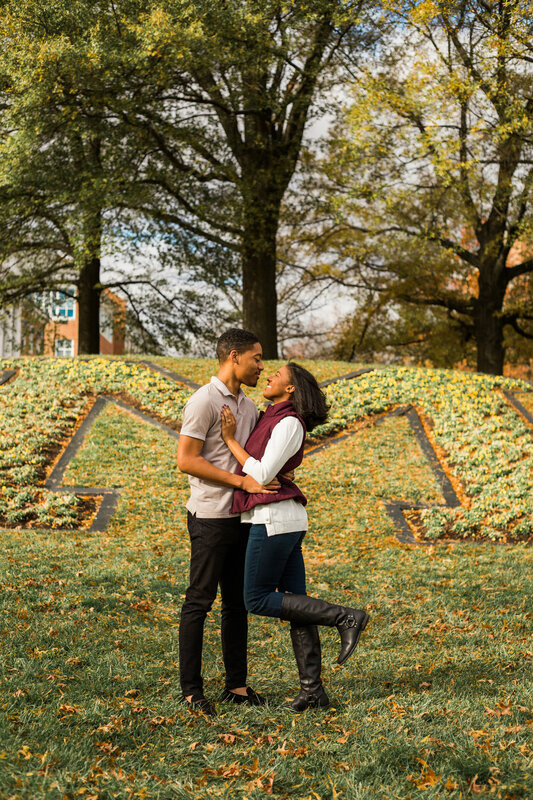 Samiah and Tavon met for their very first date on the bus stop at University of Maryland's main campus. 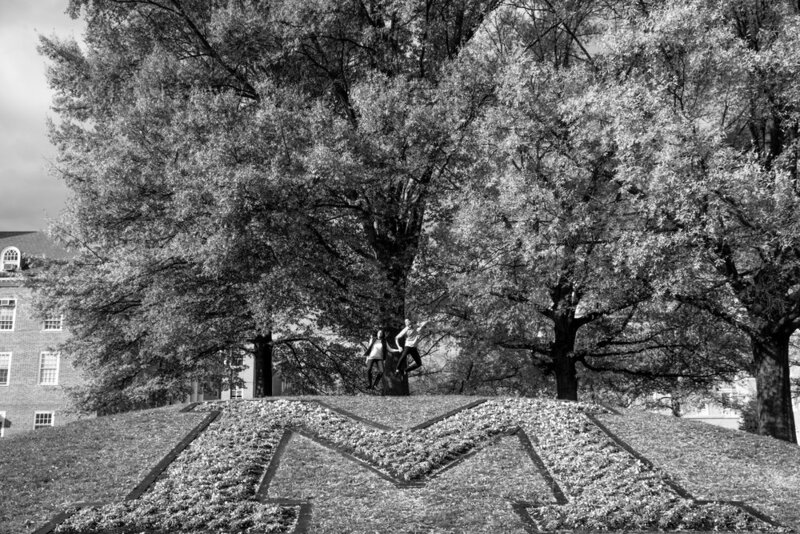 They both attended University of Maryland, College Park and we're very best friends through their entire time there. 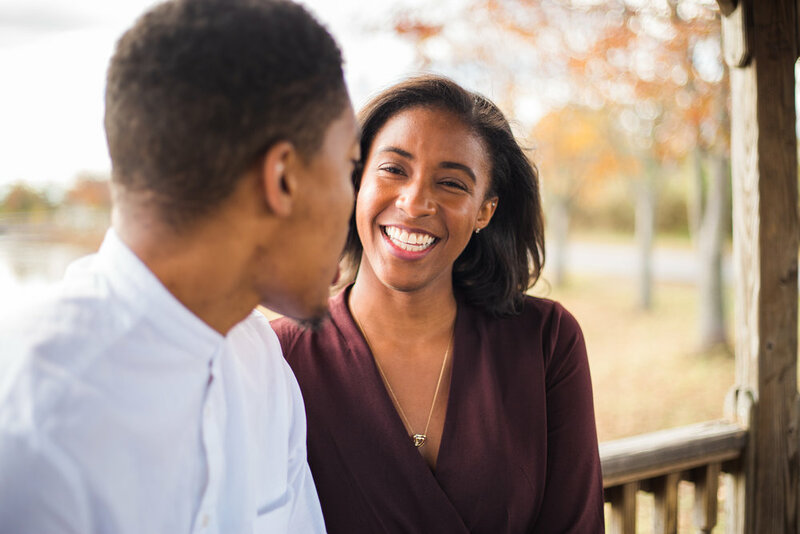 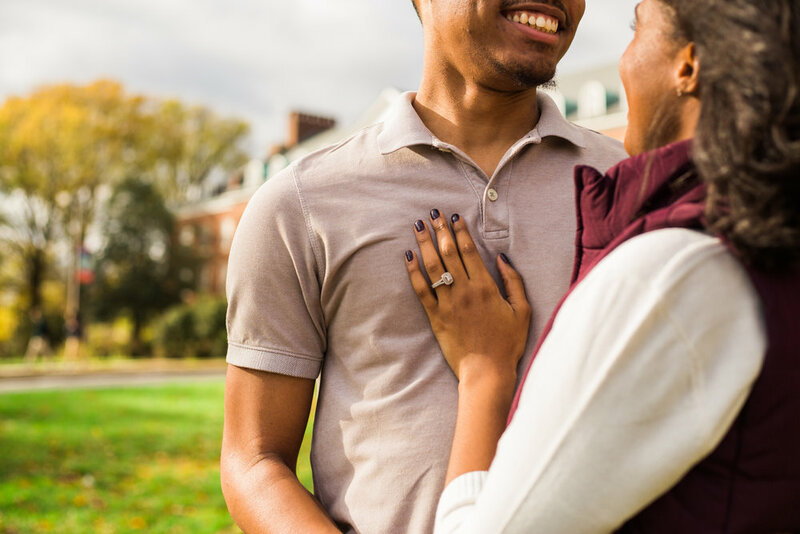 They bonded with each other strongly through their connection with Christ and built a relationship rooted strongly in their beliefs.These college sweethearts thought it would be the perfect place to celebrate their engagement. 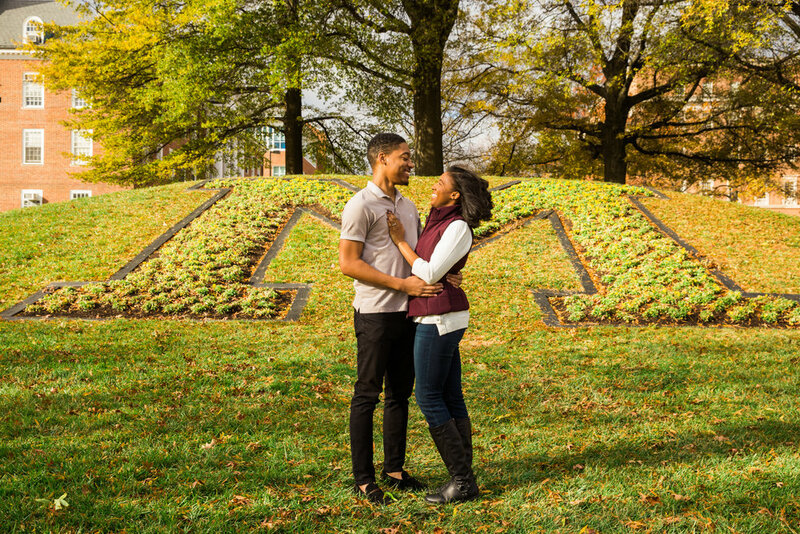 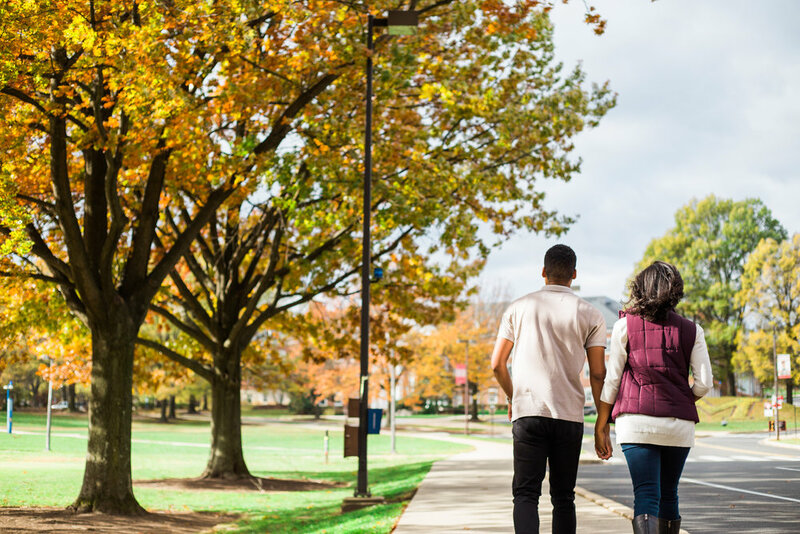 So on a crisp autumn morning, we went out to talk about their journey through college together and their plans as an engaged couple planning their wedding for this year. 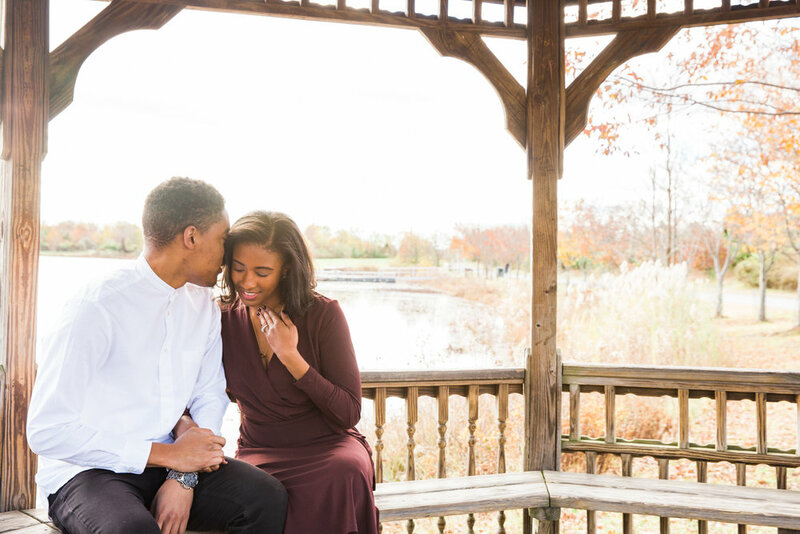 They were so excited to share their plans and even more ecstatic to be doing all of their planning together (with help from Leslie of Enchanted Moments, their Wedding Planner). 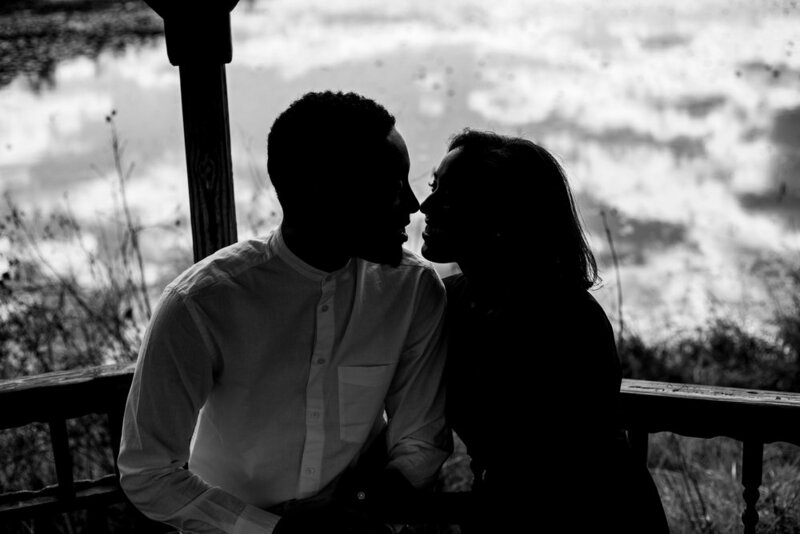 We can't wait to witness their day!